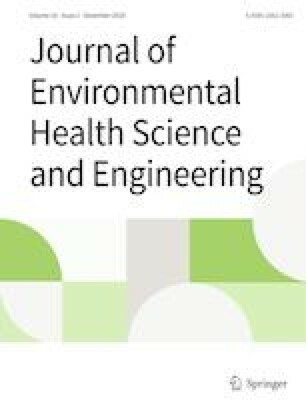 This study was conducted to assess the capability of the lumped parameter model (LPM), an efficient model due to its analytical nature and the limited data requirements, to estimate health risks from nitrate in groundwater in arid and semi-arid climates. To assess the capability of LPM, two scenarios were established: one for estimation of hazard quotient (HQ) via monitoring nitrate concentration in groundwater and the other using the LPM. After nitrate was monitored in 148 randomly-selected wells, a modified LPM was used to estimate water volume and nitrate concentration, which ultimately led to the development of a model for estimating HQ. The performances of LPM were assessed using the coefficient of determination, percentage standard deviation, and root mean square error. To compare health risk maps Kriging, Spline, Inverse distance weighted, and natural neighbor models were run using geographical information system (GIS). Linear analysis revealed a strong correlation between HQ values estimated in LPM and monitoring scenarios in arid climate compared to semi-arid (r = 0.962, n = 22, p = 0.00), suggesting that the LPM was more accurate in predicting nitrate concentration in the arid climate. Uncertainty analysis showed that LPM outputs were sensitive to several parameters, especially leakage from cesspits, which are involved in the sources and sinks of nitrate in the groundwater. In addition, it was found that the natural neighbor was the most appropriate model with the lowest errors for preparing health risk maps from nitrate. The obtained results revealed that LPM can be effectively used to estimate nitrate concentration in groundwater in arid climates and thereby LPM is an appropriate model to estimate health risk from nitrate in this climate. Authors are grateful to the Vice president for Research at Qazvin University of Medical Sciences for financial support. There are no conflicts of interest in this manuscript. APHA. Standard methods for the examination of water and wastewater: American Public Health Association. https://www.standardmethods.org. 2012. USEPA. (US Environmental Protection Agency), Integrated risk information system. http://www.cfpubepagov/ncea/iris/indexcfm?fuseactionirisshowSubstanceList. Accessed 3 May 2012. 2012.
WHO. Guidelines for Drinking-water Quality, fourth edition, World Health Organization. http://www.who.int/about/licensing/copyright_form/en/index.html. Published on 4 Jul 2011.